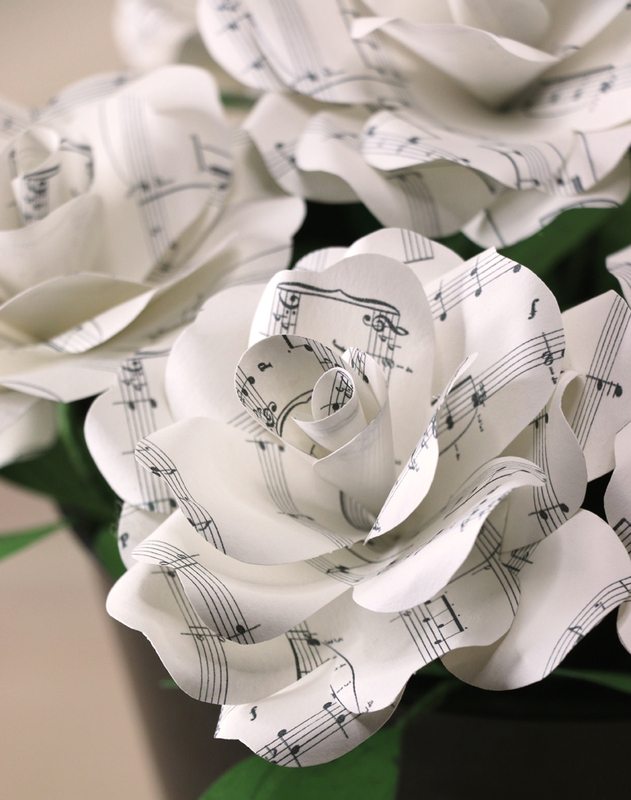 Featured in ‘Wedding Ideas’ magazine this month is our music paper rose – hand crafted from recycled paper. We made lots of these for a wedding in Israel and they were used as place settings. 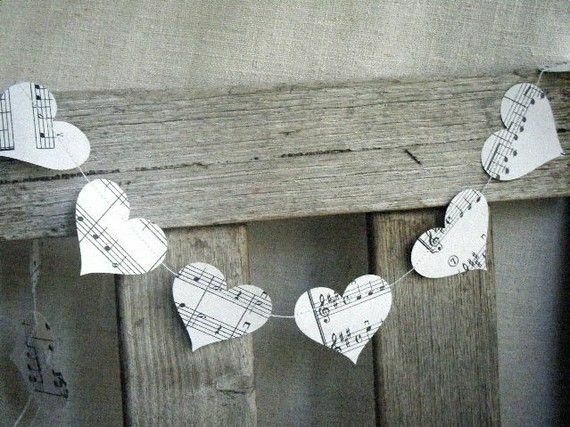 Decorations made with music paper are a lovely way to personalise a wedding for anyone who loves music. 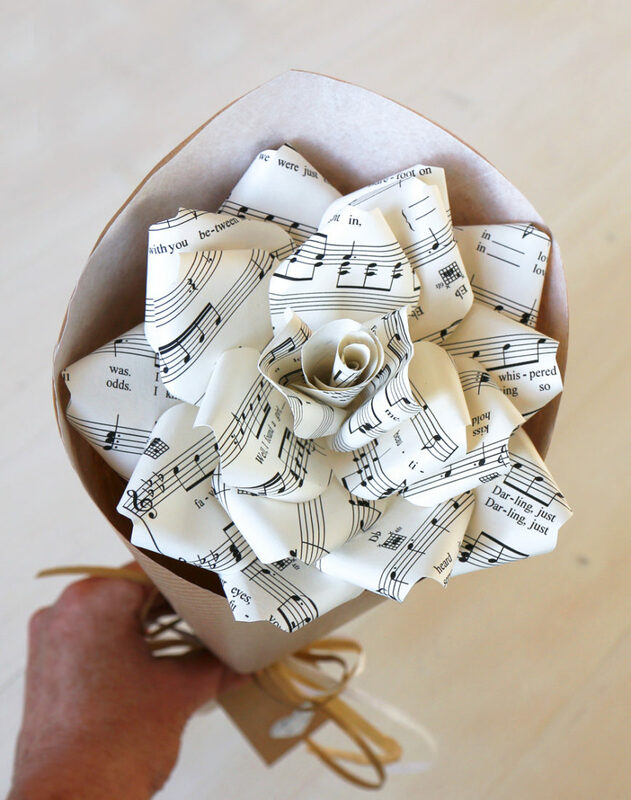 They can be eco-friendly too, making use of old music paper. 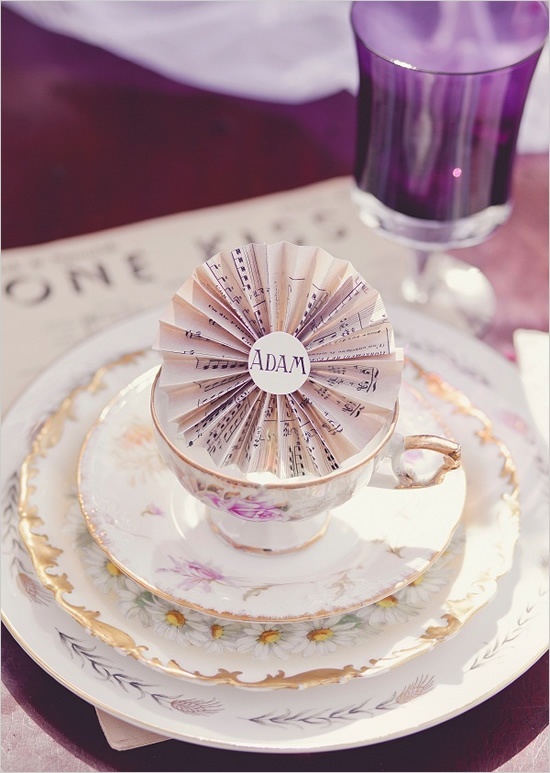 This lovely music paper place setting from the Wedding Chicks was made for a vintage styled wedding. 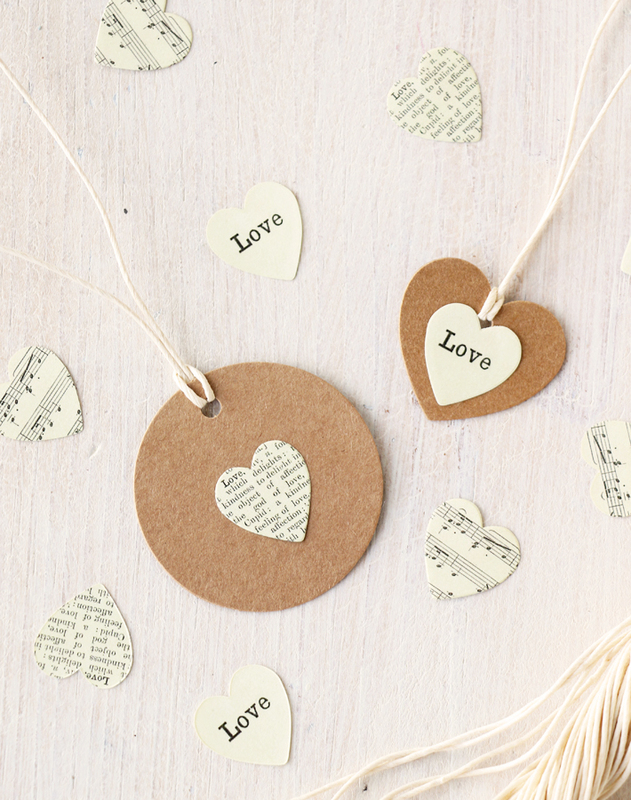 Music paper confetti can be punched in all sorts of shapes and this pretty heart confetti can be used sprinkled on tables too.